See that ‘across the UK’? There’s no mention of it again in the Independent report. I found the original. Scotland, Wales and Northern Ireland are nowhere to be found so I guess ‘across the UK’ means ‘across England’, once more. Don’t Independent writers read the Guardian and vice versa? Kezia has been replaced as visiting editor at the BBC by the equally querulous Jenny ‘What’s the’ Marra but she seems focused on more important matters such as NHS salaries being higher than hers. 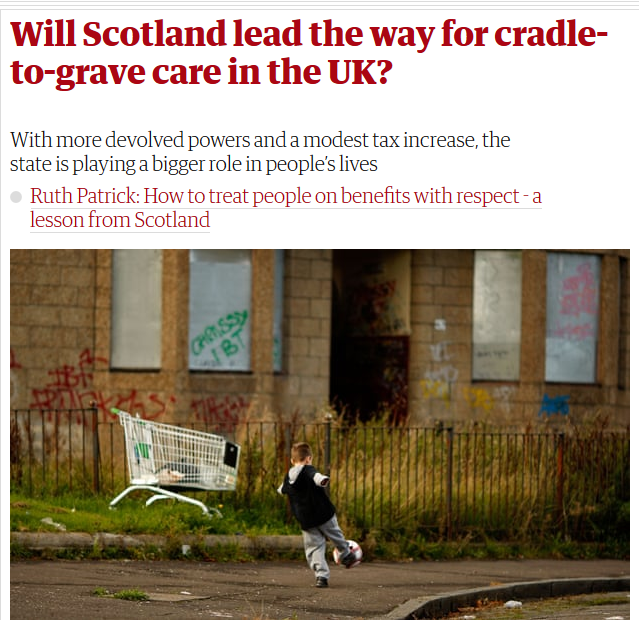 Anyhow, surely seven years since its implementation was planned and then phased in, by four years ago, Scotland’s approach to the funding of social care might have interested the English researchers? Seemingly not. I guess travel jaunts, travelling expenses and other perks matter a lot. 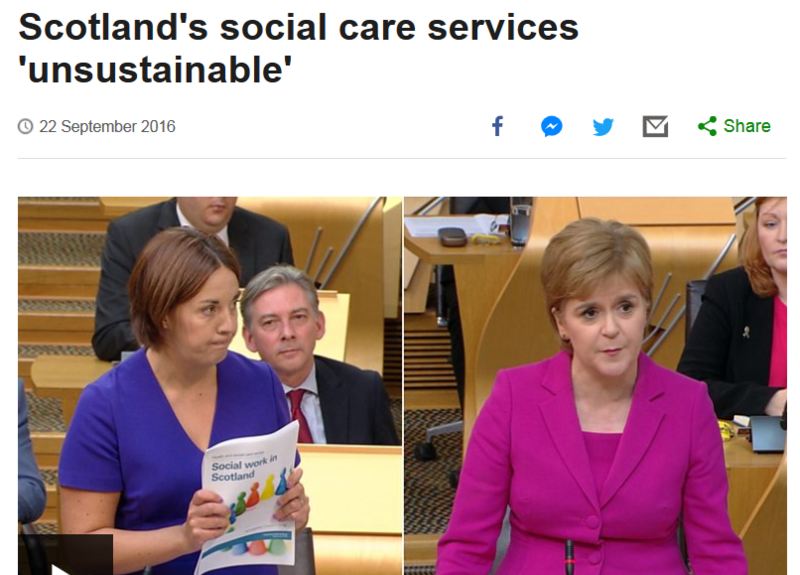 However, in May 2018, Scotland’s ‘own’ Professor Bell made no mention of sustainability problems in his investigation into costs. Glad to see you back at the day job John , see how much your are needed 😁 . England falling behind these countries should be nationally newsworthy, doubt if we’ll hear much though , good to know that Scotland is performing better , doubt also if we are told about that at all ! . Day job yes but I’m going a bit daft for the last one today.